3 hook-and-eye closures for flexible sizing. Underbust design provide a suitable breath to release your breast. 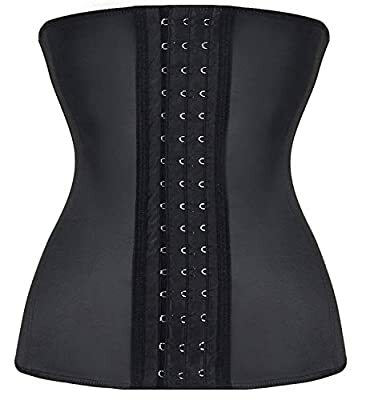 The waist corset gently lifts underbust to provides a proud bust for you. High quality material:100% Natural Latex rubber covering which have a character of durability and elastic. 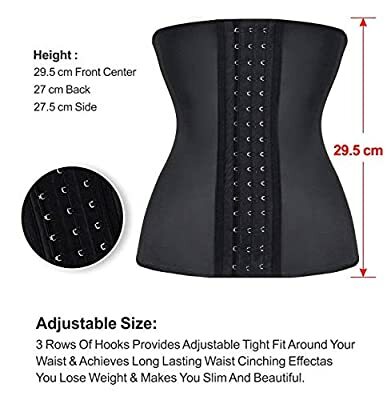 9 / 25 spiral steel bones for waist cinching and back support, help protect the spine,correct posture and relieve back pain, prevent injury during exercise. Provides Firm Control and Shaping, reduce waistline up to 3-4 sizes instantly and help you sweat lose weight. 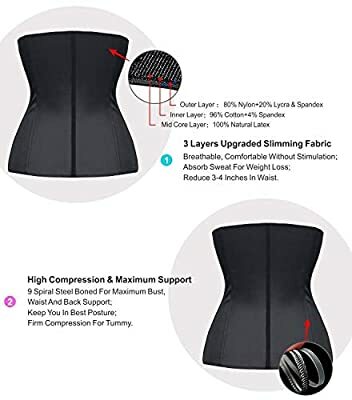 Mesh Breathable Latex Waist trainer design ensure this corsets is breathable and cotton lining make it could absorb sweat. 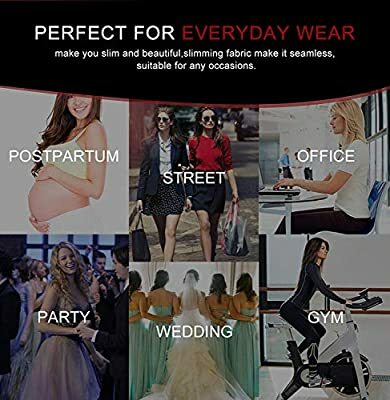 Perfect for everyday wear, make you slim and beautiful,slimming fabric make it seamless, and can be wear under clothes whenever go to a party, work, gym, celebration,wedding,birthday,dinner,show and so on, suitable for any occasions. 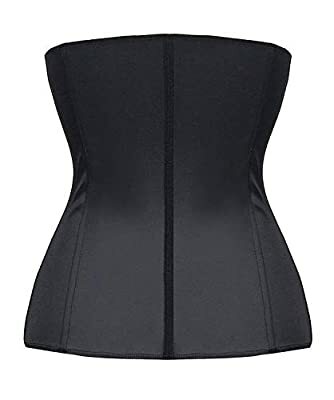 The height of waist trainer corset is 29.5 cm.